Capela's Roofing - Hamilton, Ancaster, Stoney Creek - Ontario. 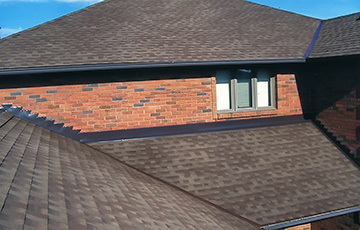 Capela's Roofing was established in 1996 in Hamilton. We are a family owned and operated business operating on the East mountain. Over the years we have built a strong reputation with our suppliers, neighbours and customers, and have become a very respected and reliable company. 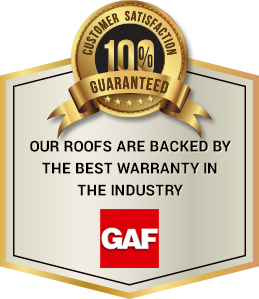 Capela's Roofing has achieved the status of Certified Contractor by GAF due to their superior quality and workmanship. Only 3% of roofing contractors carry this status. By choosing a certified contractor you can be assured you will be dealing with a reputable, dependable and professional contractor. Capela's Roofing is not only chosen as a certified contractor but also carries an A+ rating with the BBB, all proper insurance, licence from the city of Hamilton, and coverage for all employees by WSIB. Capela's Roofing is here to serve Hamilton and surrounding areas, we operate with two crews which consists of 12 highly trained employees. We are capable of taking on jobs from small to large and having them completed in a reasonable time frame. The owner, Silvestri Capela, is on every job site to oversee the job from beginning to end. We strive to make you, the homeowner, completely satisfied. We are not satisfied until you are. We are leaders in our industry, setting the highest standards for quality and workmanship attention to detail adherence to manufacturer and industry approved roofing practices. We are committed to exceeding all our clients expectations. 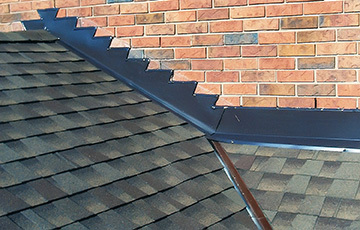 Capela's Roofing was established in Hamilton. We are a family owned and operated business operating on the East mountain. To have a free no obligation estimate from Capela's Roofing, simply call our office. When having a new roof installed, it is very important to pay attention to all details. Lynn and I want to thank you and the crew for a fantastic roofing job. Silvestri said that "We treat it like it is our own home" and wow did he mean it! His attention to details included unexpected flashing venting, painting the electrical, /exhaust stacks, cleaning the eaves troughs and the thorough final site clean-up were impeccable! Excellent value for a reasonable price and it would be our pleasure as a reference. P.S. Wish Capela did landscape and interior work - one stop shopping! Dear Johanna, Silvestri & crew, many thanks for the great job you did on our roof. We were impressed with your courtesy, speed, thoroughness and attention to detail. Harry & I would like to thank you for the excellent service, craftsmanship and expertise with our roofing job. From my initial contact with Johanna & our subsequent meeting with Silvestri we knew we found the professionals. 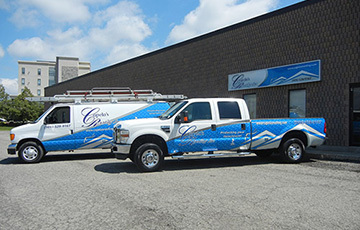 Your workmanship is incredible and your attention to detail is a reflection of your professionalism. We just wanted to thank you and your staff for the wonderful roofing job on our home. We also want to thank you for responding to our "emergency" situation so quickly. We will be happy to refer your company to our friends and family. Great work! Hello Joanne Thanks again for a job well done by your Company. The work completed by the shingler and his crew was very much appreciated. Please give thanks to the crew for their approach to my property and quality of work. Thanks again! We are quite pleased with the work! (you came recommended – reasonable price and excellent workmanship) Thanks. You may contact us by phone, e-mail, or via our online inquiry form. We welcome any questions or comments you may have. Family owned and operated. Fully licensed and insured for your protection. We're protecting your investment! © Copyright 2016 Capela's Roofing - Hamilton, Ontario. All Rights Reserved.